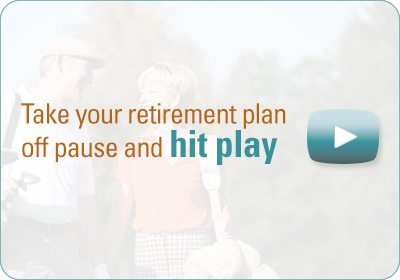 Retirement withdrawal strategies are all over the map and it really depends on who you talk to or what you read. As someone who is thinking about retirement and wondering how much money I will have to spend every year, I have been following the retirement withdrawal strategies put forth by many financial planners. Bottom line with all of these guys is that they are trying to sell me something so I need to figure out for myself what the best approach is for my personal situation. There are three main strategies with many combinations of them all, so I thought it would be a good idea to review these for readers. You will have to figure out for yourself based on your personal situation which one or what combination is best for you. Follow the 4% rule – the simplest one is to take 4% of your balance of savings calculated at the end of the previous year. Since your portfolio will vary every year, your income will vary every year as well. If your portfolio is generating less than 4% in terms of dividends and interest, then your portfolio is going to decline each year and so is your income. Something to think about! Income only rule – is a good one in that you never touch your principle, but your income will also vary with this approach as well since dividends change, interest rates change and distributions from mutual funds change every year. If you can live on the income only, you will have a better chance of your savings lasting well into your retirement with some left over for the kids. Variable Amount rule – this approach is based on taking out a fixed amount each year based on how well your portfolio is doing. In good years, you get to take more out, while in bad years when the market is down, your income will be down as well. Can you live with these variables or are you the type that needs to have a fixed amount coming in each month year over year? The answer to this question will help determine which approach or combination of approaches you decide on! 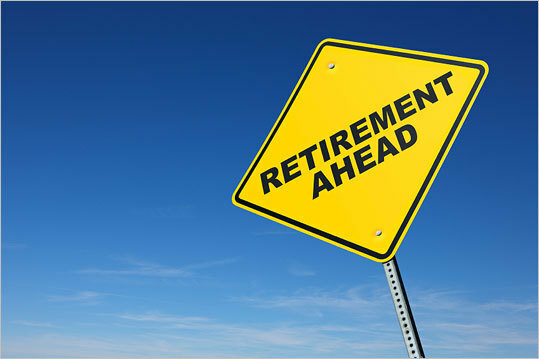 Retirement Withdrawal Strategies – How long will you live? The other big unknown is how long will you live? This will determine just how long your money will last and how much you will be able to spend each year. Be realistic, take your health into account and your genes when making this assumption. Good luck with your retirement plan! This entry was posted in Retirement Income and tagged Retirement Strategy on 2015/08/07 by ernie. Your 40 years old. You have worked for the same company for the past 20 years. There is an expectation to retire with a full pension around 55 or 60 years of age. Is this a good assumption to makee? Can you depend on your company to do the right thing when the economy gets difficult? The sad reality is that layoffs, down sizing, right sizing or what ever you want to call it are a reality for many consumers. Don’t count on a pension to stay afloat in retirement. When it happens at age 40 or older it can be difficult to recover the same wage level and also prepare for retirement when you have to use some of your savings to get by while you look for a job.This is the reality for many Americans and the answer is that you have to assume that it will happen and plan for it and not count on a pension to stay afloat in retirement. If you are one of the fortunate few that do not get laid off or otherwise lose your job, then the plans you put in place are a huge bonus towards your retirement and will allow you to do far more than you ever planned in retirement. This is a conservative assumption to make for many consumers who have good jobs now, however if you are one of the lucky ones and do get a pension when you retire, then you will be better off anyway since you will have both your pension and savings to rely on and enjoy during retirement years. If you have not started saving now, start immediately. With the interest and dividends reinvested your retirement savings can add up quickly making you more comfortable as you approach retirement years. Even just knowing that you have the savings you need will give you the confidence to retire early and enjoy life, start a new career or what ever turns your crank and not worry about having to count on a pension to stay afloat in retirement. If you can follow these rules throughout your life, you will be in excellent shape regardless of whether you receive a pension or not. The best part, you don’t need to count on a pension to stay afloat in retirement, you have independence from your job and you have the freedom to live your live in the manner you wish even if you do get laid off. This entry was posted in Pension Plans and tagged Pension Plan, Retirement Strategy on 2015/01/30 by ernie. Developing your own personal retirement income strategies can be a little daunting for many people. This can be a large complex problem if it is not broken down into individual small steps. But if you can break it down and use the assistance of a financial planner to help with some of the steps, consumers can end up with a well thought out plan that will help them meet realistic goals and objectives for their retirement. The wheel in the picture demonstrates how to get started. Not that this is a circular wheel with no end point. That is because after you have developed your first view or your retirement income strategies, each consumer will at regular intervals update the plan following the same systematic approach. We will discuss each of these steps in a little more detail. 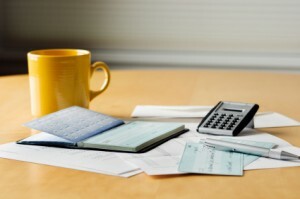 The first step is to gather all of your financial data that you have currently. This includes your current savings as well as your current debt. It also includes loans, mortgages and retirement plans that you may be eligible for when you retire from your company or personal plans. This is a snap shot of your financial situation at the present time. The next step is to set some realistic goals. These include when you anticipate retiring, when you will have your home paid off and how much debt you may carry into retirement. 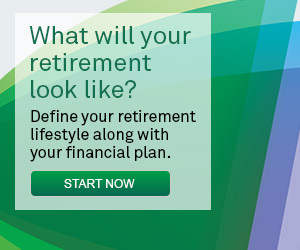 What are your plans for retirement? Will you travel a great deal or do you plan to continue working. What large expenses will you have in retirement. How do you see your life in financial terms when you retire. This leads to understanding the level of income you will need to generate to maintain the lifestyle that you desire in your retirement years. Gathering all of the information you will need to develop your plan is the next step. Investment plans, investment advisers, interest rates, dividend rates, payout rates from mutual funds, retirement plans, current expenses and costs for everything from heating your home to budgets for groceries etc should be considered. Use several simplifying assumptions to make it easier and use a program or work with an adviser to completed your retirement plan strategy. Once you have a plan, most likely you will find that you need to make some changes. They could include focusing on paying off your home faster. Or saving more money for retirement that you planned, reducing your expenses etc. The important thing is to begin taking action now. Focus to ensure that your retirement strategy, goals and objectives can be met. Are you done once you have completed all of these steps? Some people will feel that they are done and can afford to sit back and relax until they retire. This is not true. Our lives change, we retire earlier or later than planned. We have more expenses than planned, inflation is higher, our goals may change and on and on. At the very least review your retirement strategy once per year. Then update everything. You may find that your goals, savings plan etc may need to be adjusted slightly. 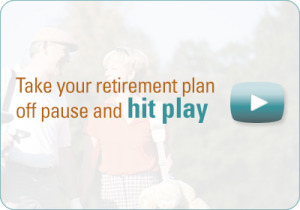 You will want to ensure that you can enjoy the life you planned for in retirement. This entry was posted in Retirement Income and tagged Retirement Strategy on 2014/06/07 by ernie. Let’s just say at the outset that there is no such thing as a guarantee. Especially when it comes to retirement and retirement accounts. If someone is trying to tell you that, then you need to really read the fine print to examine all of the conditions and the reasons why they may not meet their perceived guarantee. All of us would like to have a guarantee, however it is just too difficult to provide this sort of commitment given the unknowns associated with future interest rates, the volatility of the stock market and the changing market conditions that most of us are familiar with. If you really want a guarantee, you will need to consider placing all of your investments in low interest GIC’s which are guaranteed by the government up to a specific amount. Of course the GIC’s will not pay a great deal of interest. They are among the lowest in the industry, but they are certainly stable and your principle will remain intact. The problem with GIC’s is that the interest they generate is usually less than the inflation rate and so the purchasing power of your money in your GIC’s is decreasing over time. You can actually end up with less money in terms of what you can purchase with a GIC since they pay such low interest rate. There probably will be many readers who will say I might as well just keep my money in a savings account if there is no guarantee. If you are looking for stability with no risk, this is one of the best places to meet this requirement. Again there is virtually no interest income and your money does not keep pace with inflation. There is the old saying, no risk , no gain and this is certainly true in the case of investments. Consumers should also remember that when an investment adviser is telling you that you have a guaranteed investment, they are selling you a product that the company that is offering this product is also going to make money on as well. The return on such an investment is also going to be very low as well. Some people will purchase an annuity which is a guaranteed payment for as long as you live. Once you pass away the payments stop and the amount you invested is gone as well and cannot be considered as part of your estate. The question that many of us ask ourselves is whether our money will last as long as we are going to live and will we be able to live in the quality of life that we would like. This is something that we all struggle with especially if we do not have a company pension. People with company pensions or government pensions are in a pretty good situation, especially if they can live on their pension. If they need to augment their pension income with money from their retirement account they then have all of the same issues that consumers all over the world have concerning their retirement accounts. Will their money last as long as they need it. We happen to think that the best strategy is to live off the income that the investments generate. We also thing that consumers should invest in dividend paying stocks which are blue chip in nature and have a history of increasing their dividends on an annual basis. It is one way to ensure that you may get a raise every year from your investments. A good mix of stocks that pay dividends and bonds that pay a decent interest rate are in our opinion one way to manage the risk and at the same time ensure that you have a decent income from your investment retirement account. This entry was posted in Retirement Account and tagged Retirement Strategy on 2013/10/21 by ernie. Gold is down significantly from the beginning of the year. Many people who are the so called gold bugs have lost significant amounts of money as a result. Stocks are up a great deal. They are also volatile with quite wide swings. This volatility can unnerve many investors who depend on their savings for their retirement income. It might be time to make mid year tweaks to your retirement plan. Monitor your retirement savings and make cautious adjustments to ensure that your plan is not jeopardized over the long term. Work with an adviser to ensure that you do not sell low and buy high. If you can live on the income and not touch your principle, you will be sheltered from any of these wild swings. Interest rates edging up over the past few months for loans and mortgages. Many people who did not lock in a mortgage interest rate before the rise are now wondering if they should put off buying a home. 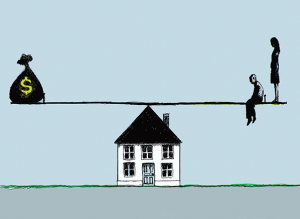 An increase of 1% can add hundreds of dollars a month depending on the size of the mortgage. 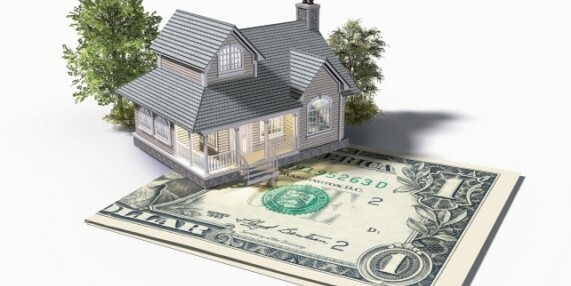 Recently interest rates have settled down. Governments in North America are suggesting that they will remain low for the next year and a half. The economy is slowly improving and for those people who have a job, life is tolerable. But if you do not have a job or if you are just making enough to pay the bills, retirement savings are something that you dream about vs. actually having. Let’s hope the slow economic improvement continues. It is better than drastic increases which can go down equally as fast providing for a lot of turmoil in people’s lives. Although frustrating for many people, a long slow improvement is actually better for everyone than a fast trip up and then down over the cliff. Never the less, there are lots of storm clouds churning away. Europe is still unstable but making progress. China is slowing it’s growth forecast and even in the US the slow economic improvement is a worry for many people. There have not been any major storms this year that affected the economy or the oil industry. There have been a lot of smaller storms that have hurt people really badly, however not on the scale of some of the bigger hurricanes. There is always something going on and with all that is currently taking place, it is time to review your retirement plan. You may need to make mid year tweaks to your retirement plan if necessary based on a thorough balanced review. Tweak only if necessary to balance your retirement plan, to reduce risk, to increase income and to make cash available when you need it. Check with your financial adviser to confirm you have a well balanced retirement plan. Invest for the longer term and avoid reacting to short term stimuli from outside sources on the stock market. This entry was posted in Retirement Planning and tagged Retirement Strategy on 2013/07/10 by ernie.